Hey guys, hope all is well and okay, for the next three days I’m like let me post about NEW IN items that I recently got through PR because I will be trying them soon and I would like to take pics of them while they are still you know in there great condition, so that we can always have a point of reference and we get to try all the products together. Today we are getting to know the *FINO SMOOTH products, the first product that I know from them is their After Waxing and Shaving Balm/Moisturiser, when you are pregnant and need to go to the Gynae a lot you will need a product like this cause there is a lot of shaving and waxing that happen during that period, your skin will need to be protected. FINO SOOTHE claims “is a synergistic blend of natural VITAMIN A and FRUIT ENZYMES. It is quickly absorbed, leaving no greasy residue, and does not stain clothing. Suitable (for use after all types of hair removal). The product comes in a tube pack, I’m sure you can see from the pics dah?! On my first application I squirted and a whole huge quantity on my hand, and made it hard for it to emulsify on my skin, so I learned earlier on that a little/pea sized squirt goes a long way. There is a scent to the product and does tingle a bit on first application after that it was fine, even though the product does not contain any alcohol. 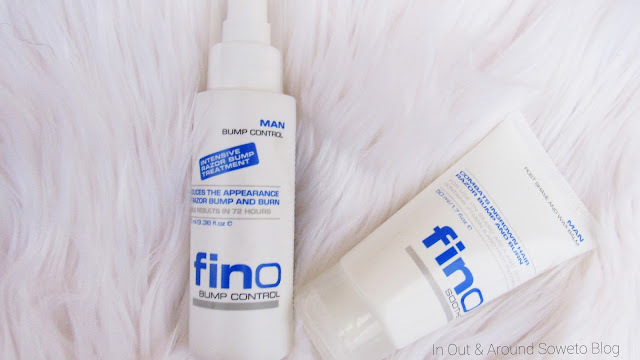 Today however we are sharing the FINO SOOTHE MAN, which is currently being tested by my nephew Lonwabo he is surely coming through these days, I love it. 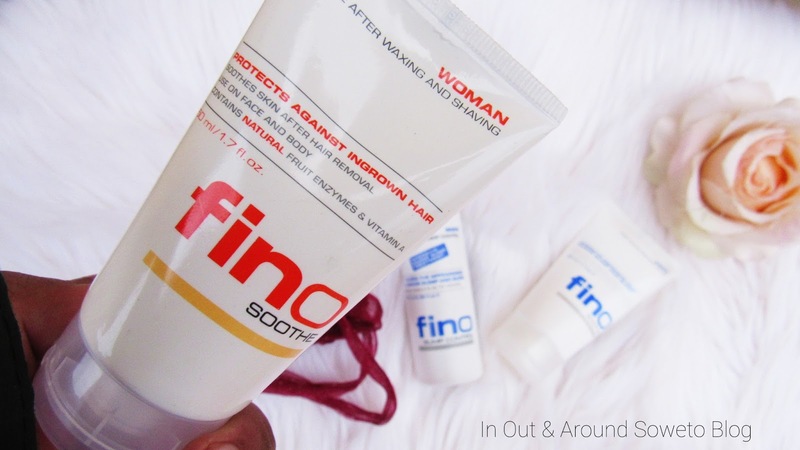 FINO SOOTHE claims to be a unique soothing balm after shaving or waxing. Helps combat ingrown hair and minimise razor bump and burn. Suitable for all skin types. Calms and moisturises tender skin. Assists in relief of dry itchy skin and other post hair removal irritations. Can be used on sensitive skin. The ingedianets look quite similar to the FINO SOOTHE Women so it will be interesting to find out how it works on my nephews skin.